2019 Season Flex Pass Packages are NOW ON SALE! OUR 4 CREDIT PACKAGE is perfect for a couple only wanting to see two shows or for an individual that doesn’t know if they can make all 5 major productions. 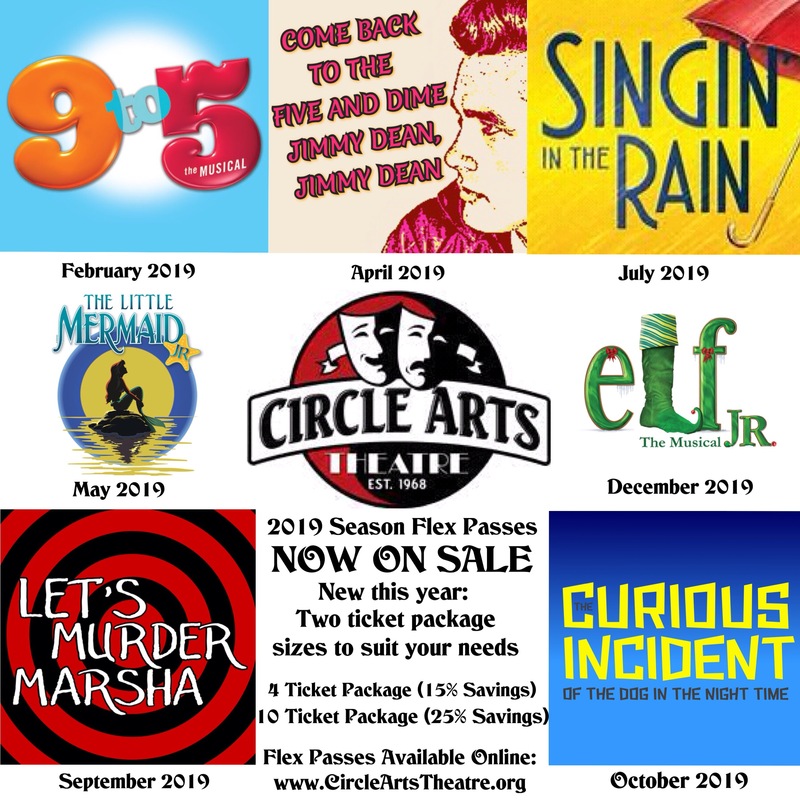 – Your 2019 Season Flex Pass is now available for you to use either over the phone or online, whichever you prefer each time. – Phone reservations will be available M-F 9am-4pm beginning January 15th. – If you lose your info and pass number, no need to panic, we are able to keep track of everything electronically. – When you make your reservations you will be able to print out your tickets at home- no need to stop at the box office. If you’re giving these passes as gifts, you can put the recipients name and email address in the info box so they can use them any time they want.